Black Band Odyssey Pewter Cremation Pet Urn made of pure quality brass and finished with brushed pewter. The engravings on urns are decorated with paw prints in black crawling round the urn. 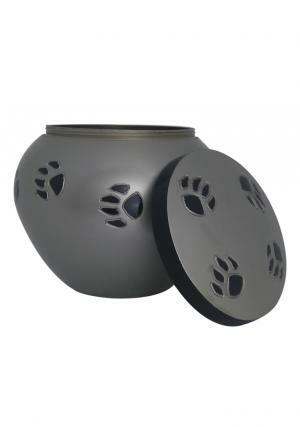 The lid of paw print black pet urn has decorated black band with engravings of paw prints in black. 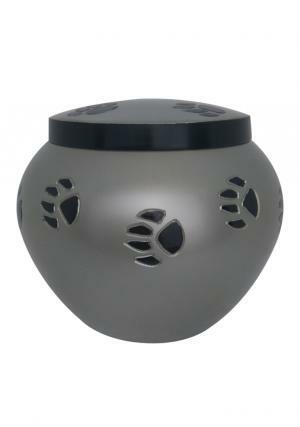 The urn is beautifully shaped as a full fill urn pet urn to preserve ashes of the loved and adorable pet. 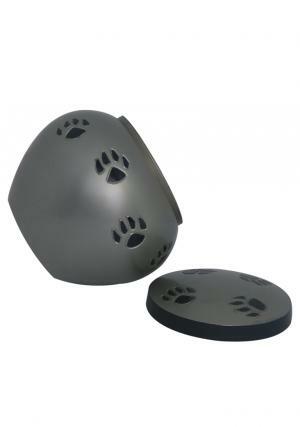 Lid of the pet urn is decorated with screw threading for easy closure and open insertion of ashes to secure. 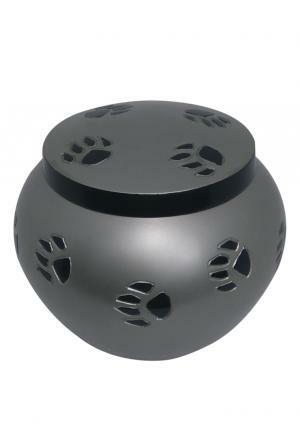 The dimensions of pet urn is 4.13 inch tall, width of 4.82 inch which weighs 0.73 kg and capable to preserve up to 30 cubic inch ashes of pet.